Total oil product stocks in Fujairah fell 3.6%, or 682,000 barrels to 18.251 million barrels, as demand for light distillates rose in the week leading up to Ramadan, according to data from the Fujairah Energy Data Committee, or FEDCom. 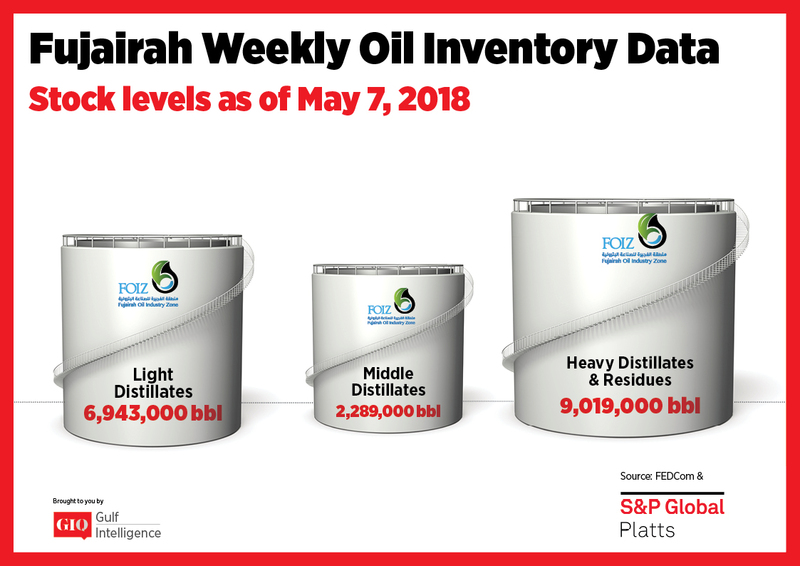 Stocks of light distillates fell 5.4% on the week to 6.943 million barrels, an eight-week low, as regional demand edged up ahead of the month-long Ramadan starting next week, S&P Global Platts Analytics said in a report. Power generation demand in the region is building, with sources noting rising demand from Pakistan and Saudi Arabia in particular. 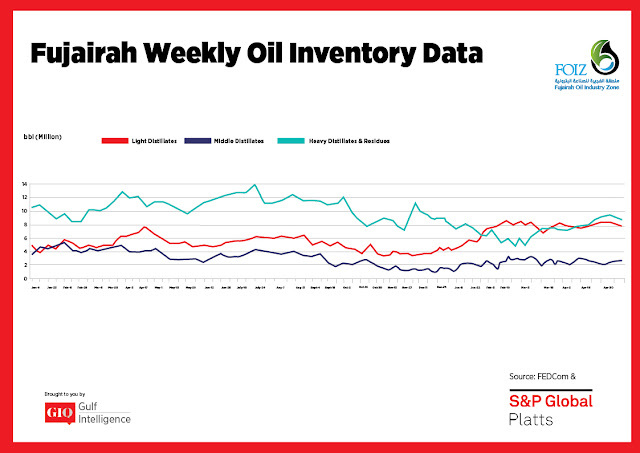 Platts fixture logs have recently shown the unusual move of dirty oil products from the US Gulf Coast being exported to Saudi Arabia. Stocks of middle distillates rose 12.8% on the week to 2.289 million barrels, but are still rangebound, averaging 2.2 million barrels since the start of the year. Demand for diesel remained firm from the Middle East and India ahead of Ramadan and the summer months, when gasoil demand generally rises for power generation. 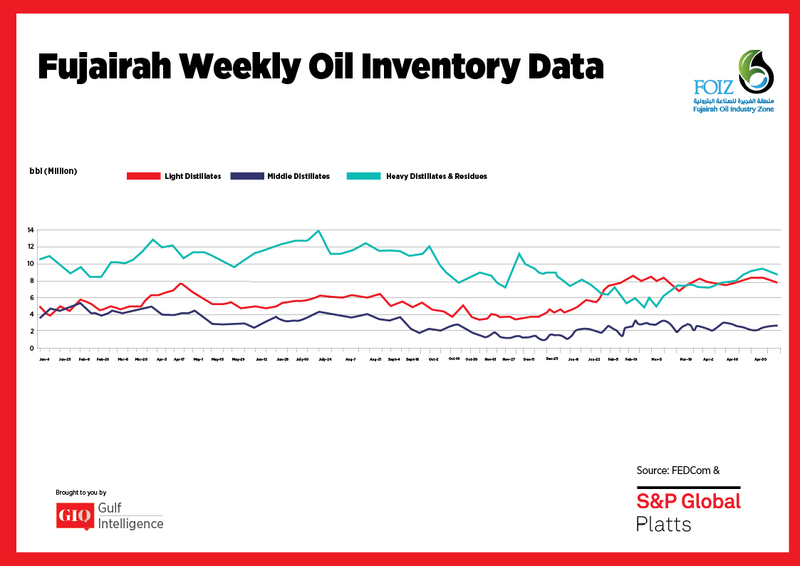 Middle distillate stocks in both Singapore and the ARA region have trended lower in recent weeks, reflecting tighter supply fundamentals.